The Phoenix VA Health Care System was the epicenter of the nationwide scandal related to mismanaged veteran care over the last year. As a result, it has been something of a measuring stick for how the system is recovering from the issues involved. One interested party was President Barack Obama, who visited the Phoenix VA in mid-March to check on the progress of the reform measures implemented in the system last year. Secretary of Veterans Affairs Bob McDonald accompanied the president on the trip. As he visited, President Obama received presentations on the progress that was made to the VA’s ability to serve veterans in an effective, timely manner, both at the Phoenix location and nationwide. He also was given a report on where the VA still needs to make additional progress, and what steps are being taken to ensure the system recovers from the major scandals of 2014. The Phoenix VA is a symbol of that scandal, as it sparked last year’s controversy in a CNN investigation that revealed many veterans had died because they were unable to get timely treatment. Reporters following up on the story discovered that these long wait times and poor recordkeeping were problems nationwide, and that the VA had gone to great lengths to cover it all up. Eric Shinseki, who was the VA Secretary at the time, eventually resigned from his position. 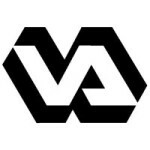 The scandal led to new legislation in August that provided overhauls to the Department of Veterans Affairs and gave it $16.3 billion in additional funding to help resolve the problem. President Obama signed the bill, saying that it is the responsibility of Americans to treat our veterans well. If you believe you are eligible for veterans benefits through the VA, speak with an experienced veterans disability lawyer at Marcari, Russotto, Spencer & Balaban Call us today at 866-866-VETS or contact us online. Serving veterans nationwide.